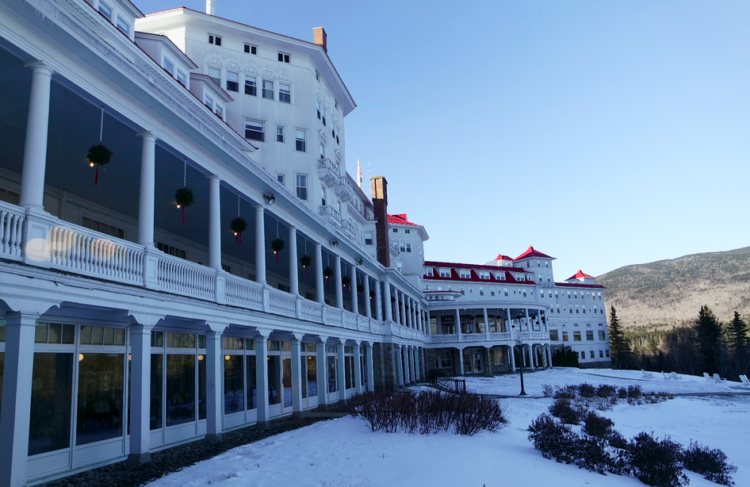 Nestled beneath the mountain range known as “The Presidents” sits one of the last grand hotel resorts in New Hampshire. 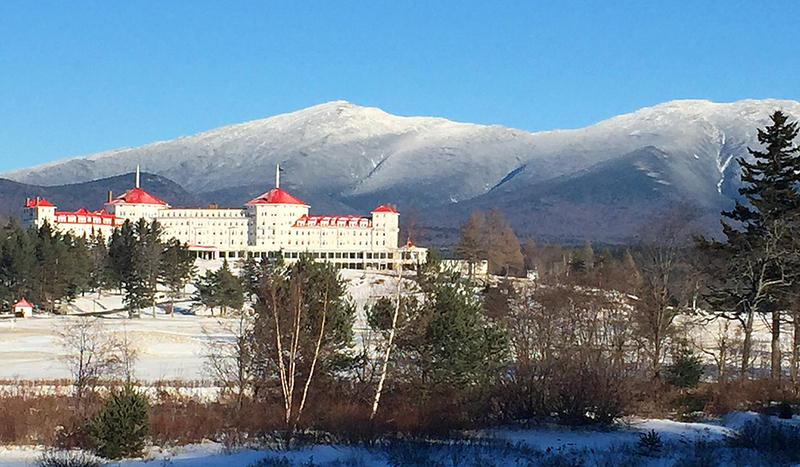 The historic Omni Mount Washington Resort is known as a favorite New England retreat for presidents and celebrities. In winter, the resort boasts award-winning Alpine and Nordic ski centers, decadent dining and luxurious guest rooms. It’s also the perfect location for the holidays, with spectacular decorations and activities for the entire family. 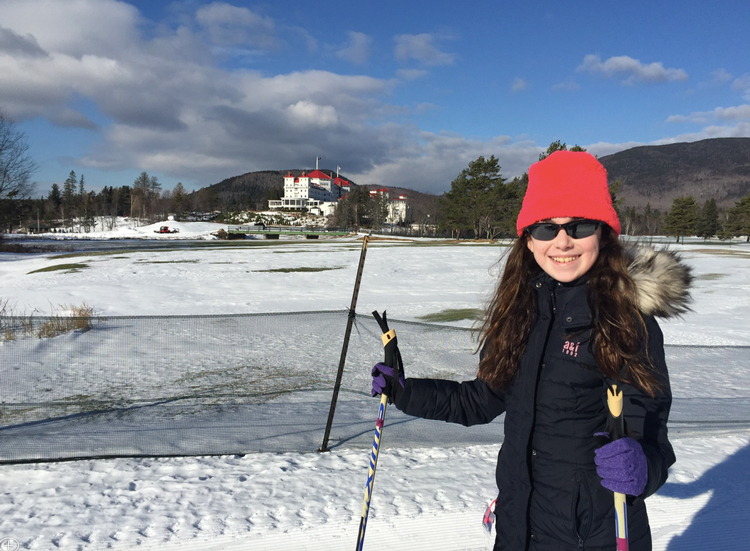 My daughter and I had the pleasure of visiting the historic Omni Mount Washington Resort in Bretton Woods, New Hampshire, during the holiday season. Surrounded by guests heading to the alpine slopes, we wondered if the resort would have enough for non-skiers like us to keep us entertained. 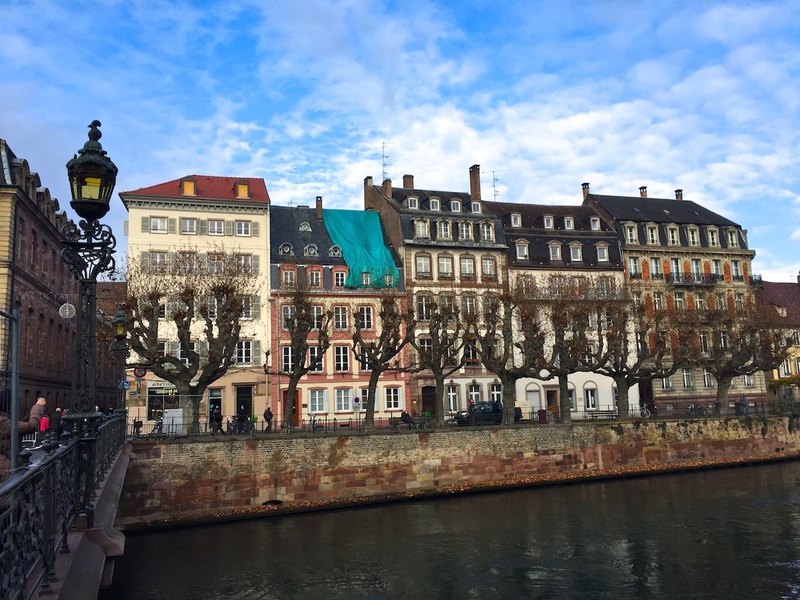 We were pleasantly surprised by the number of activities that made us want to return with the entire family. 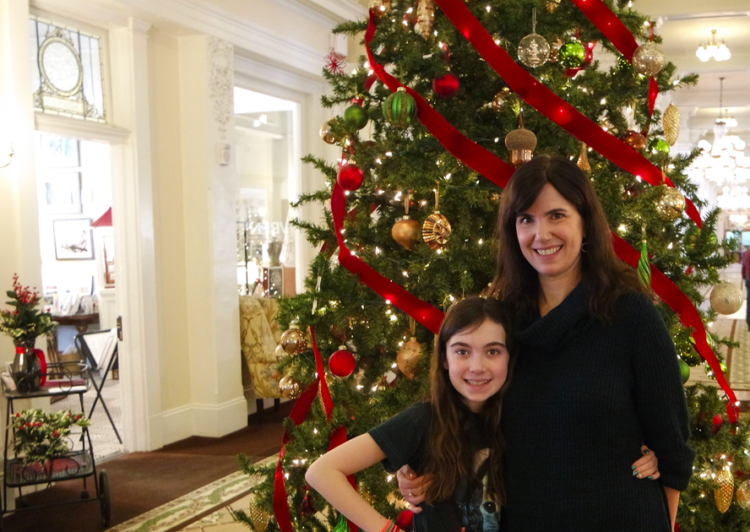 A very special mother-daughter getaway during the holiday season. Photo by Jenn Mitchell, Fitness TMOM. The entire resort, also known as Bretton Woods, has 4 onsite properties to satisfy a variety of accommodation and budget needs. 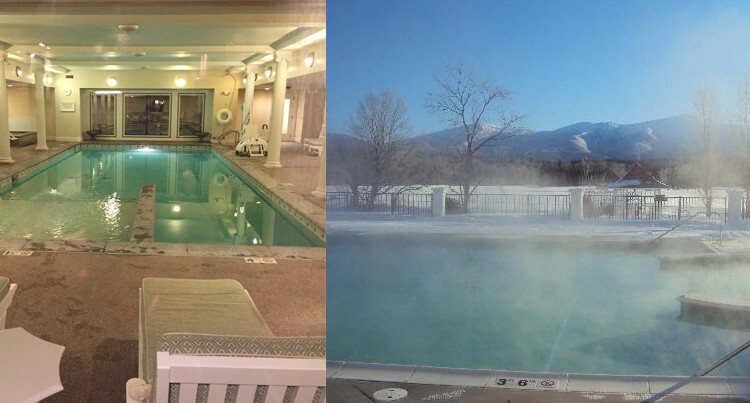 In addition to the Omni Mount Washington Hotel, the smaller 34 room Omni Bretton Arms, The Townhomes at Bretton Woods, and the budget-friendly Lodge at Bretton Woods are also on property. 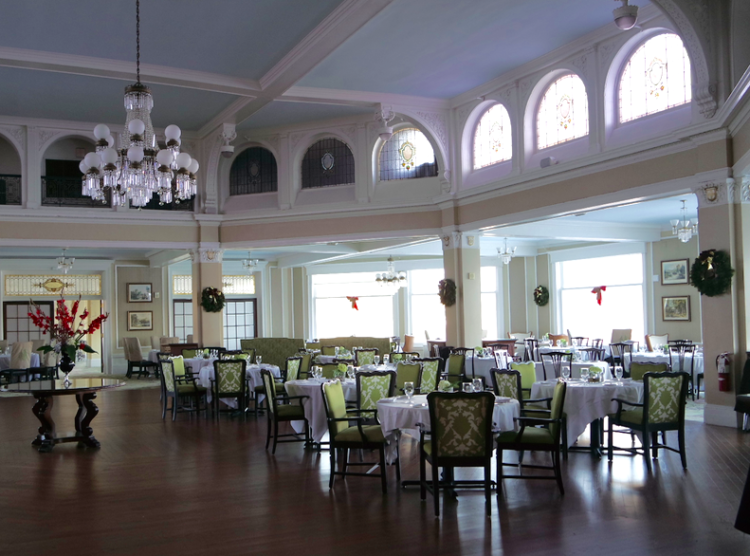 At the Omni Mount Washington hotel, there are 200 luxurious rooms. We stayed in a deluxe room with two queen beds. 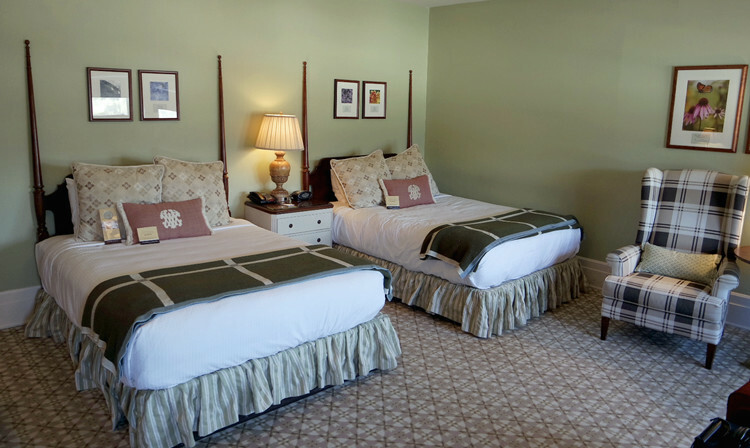 With a view of Mount Washington, the spacious 300 square foot room was beautifully appointed with plush bedding, a lovely seating area with two wing back chairs and a desk. The resort has its own daily newsletter, The Bugle, where you’ll find a list of special activities. 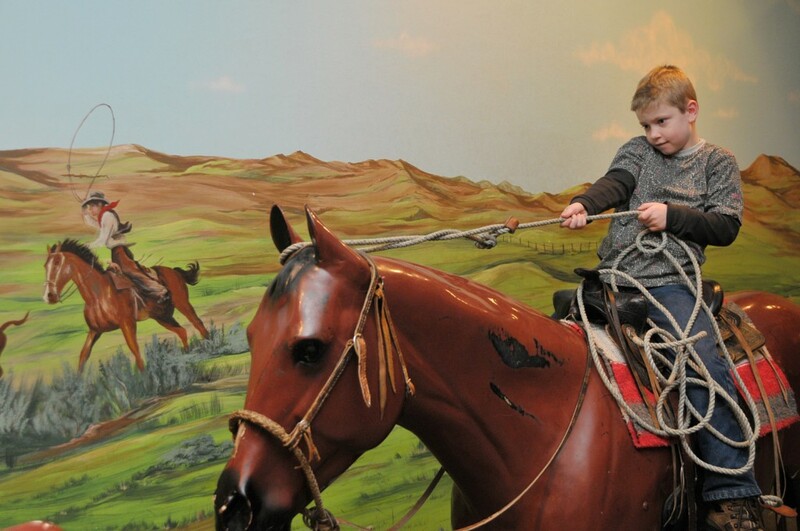 While we were there, they offered horse-drawn sleigh rides, holiday portraits, in-house movies and more. A shuttle bus is available to bring guests to all locations throughout the resort. Getting to the ski mountain is less than a 10-minute ride. The indoor pool is on the small side, but still fun for a dip. There are comfortable lounge chairs and a relaxing hot tub. There is a separate locker room at the outdoor pool. We made the mistake of venturing down in our swimsuits in about 10-degree weather. My daughter really got a kick out of swimming outside in winter. At the front desk, guests can borrow board games to bring to their rooms or play in the lobby. Each night, we cuddled on a couch near the grand fireplace and played games like Battleship and Guess Who. Cross country skiing – we gave this a try and had a blast! Down at the Ski Lodge is an indoor rock-climbing wall. You’ll need to wear sneakers or rent climbing shoes for $3. Climbers must be a minimum of 5 years old. There is an area for smaller kids to climb without a harness. More adventurous kids and adults can take on the full-scale wall, which is about 3 stories high. We did not try these services, but it’s worth noting that families with kids ages 4-12 can enroll in the Omni Kids Explorers program, which runs from 9-2. There is an evening program from 6:30-9:30 on Friday and Saturday nights. The resort also has a list of local sitters if you need to book one. The hotel has 25,000 square foot spa. For girls, there is Pedicake Package featuring fizzy foot bath, a frosting sugar scrub, and polish application. For boys, there is The Pirate Package with a foot soak, nail trimming and a pirate eye patch and bandanna as a parting gift. The spa offerings for parents include facial and body treatments as well as full salon services. Children under 16 are not allowed beyond the nail and salon area. Unfortunately, the spa was fully booked during our stay. We can’t wait to try some services the next time we visit. There is a game room with pinball, air hockey and other arcade games. A sweets/coffee shop with a large candy selection and fresh baked goods helps satisfy the need for a treat or caffeine boost. This 4-diamond restaurant features panoramic views of Mount Washington and serves breakfast and dinner. Delicious dinner options include Pistachio Crusted Atlantic Salmon and New England Chicken Pot Pie. Both the food and the service was excellent. When my daughter could not find an option she liked on the kids’ menu (she’s really picky), our waiter was more than happy to entertain her request for a bacon burger. Be careful if your child orders ice cream for dessert. The bowl is easily enough for 2-3 people. Of course, my daughter attempted to finish it all on her own. My daughter and I love to order room service at least once during our hotel stays. I ordered a Turkey Club and my daughter had a bacon burger with fruit. My fries were not very hot and a bit mushy, but everything else was delicious. The food arrived quickly and they held our ice cream order for another half hour so it would not melt while we ate our meal. Dubbed “The Art of Breakfast,” by the hotel, the buffet features traditional breakfast favorites along with fresh pastries and fruits. On select mornings, there is a chef-attended station for cooked-to-order omelets and waffles. The Belgian waffle I had was amazing! 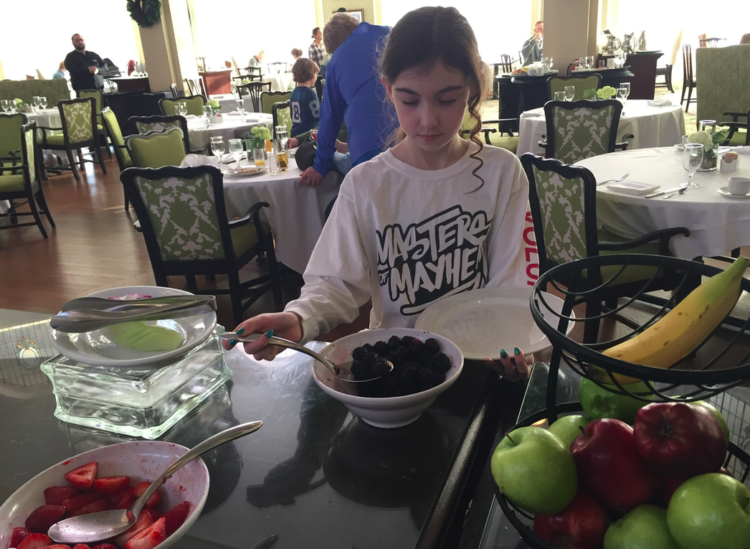 My daughter loved the fresh fruit, strawberry compote, and the pancakes. Carolyn Stickney became the owner of the resort after the death of her husband. She then became a princess after marrying a French prince. She had her own private dining room for her special guests. This room is a quiet place to relax and order a drink (mocktails for the kids). On Fridays and Saturdays at 3:00 p.m., guests can enjoy classic Afternoon Tea. We enjoyed lemonade in cozy love seats. This comfortable bar (also with spectacular views) features a variety of drinks and wines and a full menu for adults and kids. Guests can enjoy this menu throughout much of the main lobby of the hotel as well. I had a cup of tea while we played our board games. Better pillows – considering this is a luxury hotel, the pillows were not very comfortable. In room dining – we did have trouble ordering room service because the man on the line did not speak English very well. He did not understand a few of my questions and forgot to include the drinks in our order. That said, he was quick to rectify the situation and came to our room personally to apologize for the mix up. The food also could have been warmer. The bathrooms need hooks to hang drying towels, robes and swimsuits. There were no hooks on the walls or behind the door and only 2 towel rods. Book the spa before your visit – It would have been nice to know that it’s best to book any spa treatments before arrival. We were unable to book any services where the two of us could sit side by side. This year-round adventure tour descends over 1,000 feet of elevation. 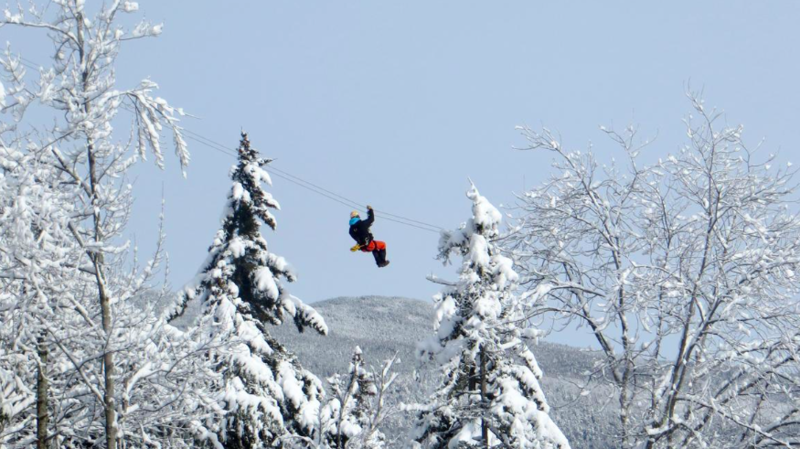 The canopy tour includes a series of tree-top zip lines, and is the longest zip line canopy tour in New England. Participants must be at least 12 years old and 90 pounds. I’d love to enroll my kids in the Bretton Woods ski school. It would be nice for them to take some lessons since we have never tried downhill skiing as a family. Take a high-speed ski lift to this restaurant that serves lunch at the summit of the Bretton Woods ski mountain. The views on a clear day must be spectacular. 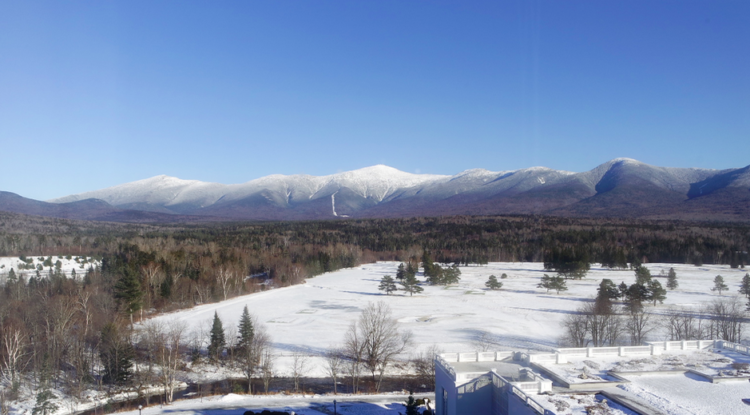 While at the Omni Mount Washington Resort, you may want to venture out to explore these attractions, all free in New Hampshire!